There are times when the bills can be overwhelming. Sometimes you can get caught up after a small setback. There are other times when the bills build over time, making it difficult to get payments under control. Late fees, interest, over limit fees can cause serious issues when it comes to credit cards. Once you get behind, small payments do not help to lower your amount due. Increased monthly bills or medical bills can also change you your payment status. Is it time for debt consolidation? 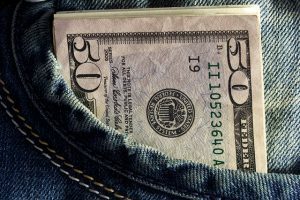 If you have had a major income change, you may not have room in your budget for the same amount of bills that you had before. Sometimes these changes are temporary due to things like missed work. When you lose a job or change jobs, however, the change is long-term and your bills need to be adjusted. When you begin to pay a smaller amount towards your credit card debt, fees often get added. Over limit fees and interest can push your bill back up. You may pay fifty dollars, only to have sixty dollars of fees added on. Without a consolidation, you get nowhere. Sometimes your ability to pay comes when you take on some extra bills. When you move into a new home, change your phone company, or have a medical issue. The addition of new or higher bills can warrant a reorganization of your budget. 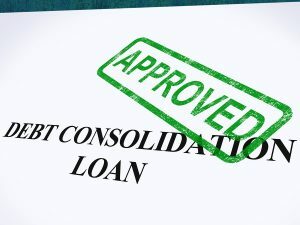 Take a look at debtconsolidation.loans for the best options. If your extra or raised bills are going to continue long-term, then you need to make arrangements to get your debt under control. Fees help to keep customers motivated to pay their credit card payments on time. They also help lenders make money. When you start to notice that your credit cards are showing over limit amounts, it may be time to take action with a consolidation loan. Call and talk to your credit card company to better understand the fees. Each missed payment results in a late fee. This raises the total amount due and may result in an over limit fee. On top of all this, the interest rate applies. Even one or two months of extra fees can make your credit card bills challenging to pay off. If you notice that you cannot get the payments under control, and they are getting bigger, you may need to consolidate. Your credit score can begin to drop even after one missed credit card payment. Your report may show a less than perfect payment history, as well as a high credit usage ratio. A consolidation loan keeps your credit from dropping any further. 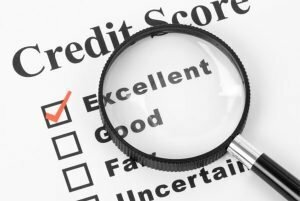 The payments you make on your loan also help to raise your credit score. If you start as soon as you realize there is an issue, your finances can get under control faster. Consolidation is a big help for those that have bills getting out of control. Most people have hardships from time to time. Even one or two missed credit card payments, however, can cause issues. It is important to act quickly to avoid a higher payback rate. There is a solution to make payments easier. Check out these free tools to keep your finances tuned up and in check.